Here’s the last in our 12 Days of Christmas series of gift-giving ideas for expats. Everything recommended in Days 1-12 will help you or someone near and dear to you plan and execute their overseas move. Now on the final day, we’re focusing on books and products that will help you prepare for this momentous move, whether it’s a guide to a country of interest or a program to help you determine the steps you need to take to get yourself from Point A to Point B. 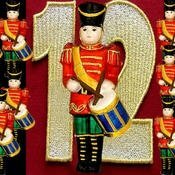 On the Twelfth Day of Christmas, my expat gave to me. . .
Kathleen Peddicord has used her 25 years of writing about the expat life, and 13 years of living as an expat in four different countries to create a guide to take future expats — step by step — from our home countries to our lives abroad. You can read my review here.